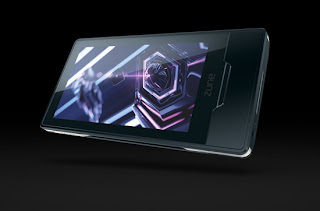 The Zune HD is Microsoft's newest media player that has a touch screen like the iTouch, wifi, etc. just as expected. The one thing that has been speculated about for ages about is whether it will be powered by NVIDIA's Tegra processor or not. The Tegra processor is a chip that will fuel the future of media players and mobile devices. It packs a punch with graphics quality the iTouch and iPhone could only dream of having. It also utilizes less power, meaning many hours of lovely battery life. There has been a lot of speculation that Microsoft's next mobile OS Windows 7 will really take flight once these Tegra processors are put into mobile phones. If this can happen in the next year or so, it will really force Apple to step up it's game for their next iPhone. Competition is good, it'd be nice if we had some. Lets face it, MS needs to step up their game A LOT and with NVIDIA's help, it could happen sooner than we think. Check out the full hands-on preview of the Zune HD powered by Tegra, here.